Remember that awesome Audubon Mural Project mural I saw a couple of months ago? The “Western Tanager” by Yu-baba? 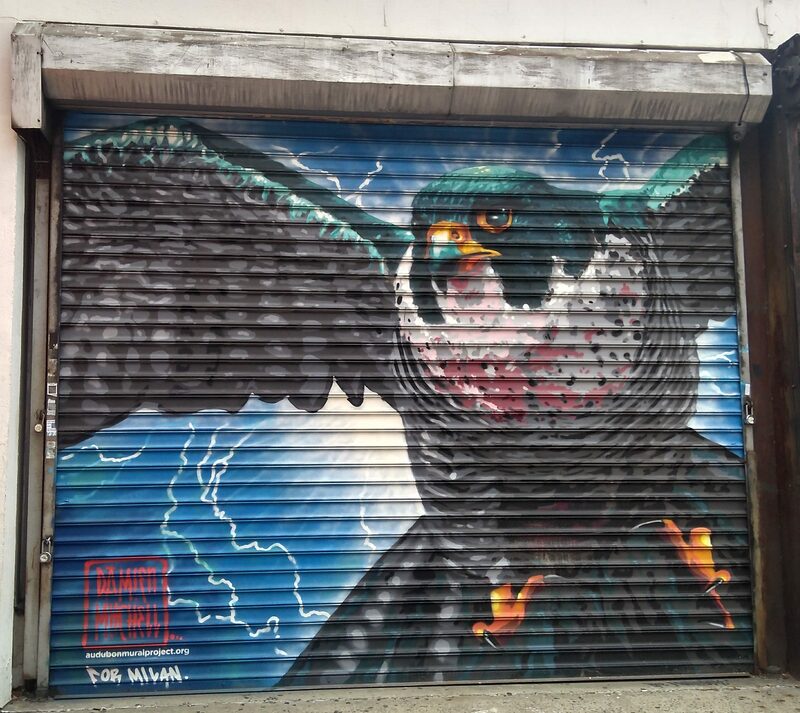 Well I found another one, this time a “Peregrine Falcon” by Australian street artist Damien Mitchell! This mural can be found on St. Nicholas Ave. between W 147 and W 148 Street near the A, C, B, D station and M3 bus stop. I love how the falcon is depicted in mid-flight. Its eyes are also very captivating. Watch Damien Mitchell paint the mural in the video below!